Recently,Lonsdor company launch their newest product:Lonsdor JLR IMMO,special for JLR and Ranger Rover key programming.It’s designed to program car keys and applicable to above 95% of Jaguar and LandRover models currently (VPW protocols of Jaguar’s old model is unsupported). 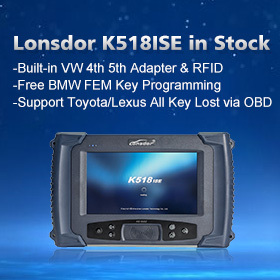 User who’ve bound Lonsdor product: input account, password and verification code to login. User who doesn’t bind Lonsdor product: click【Register】and follow prompt messages to complete registration, then log in. ② Bind device: after login succeed, check system prompts when device boots. Input the device No. & registration code as per the prompts, and set device password. Click 【Submit】to bind device. 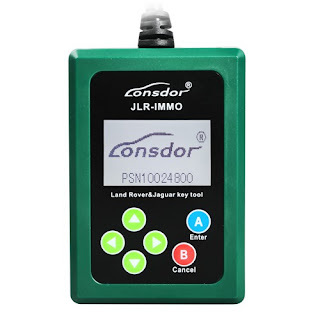 ① Click JLR-IMMO button, click【Get activation code】, confirm that device No. shown on the webpage is consistent with actual device No. Click【Submit】to get activation code.